More ergonomically comfortable, the unique design uses less material and resources while maintaining our highest quality standards. This human powered tool emits no greenhouse gasses, reduces the need for chemicals, saves water, and saves you money. 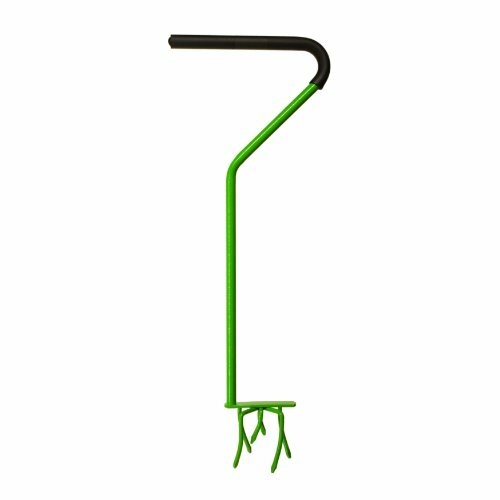 This tiller can help your soil and your plants by breaking up the hard compacted top layer. This allows water and air to get down into the soil, enhancing a plant's ability to draw nutrients. In addition, loosening the soil makes planting and amending soil easier. It can also be used for mixing compost and digging holes. Yard Butler guarantees all Yard Butler tools for life against any defects in manufacturing or materials. Mintcraft 980013l Garden Rolling Tiller, 48"